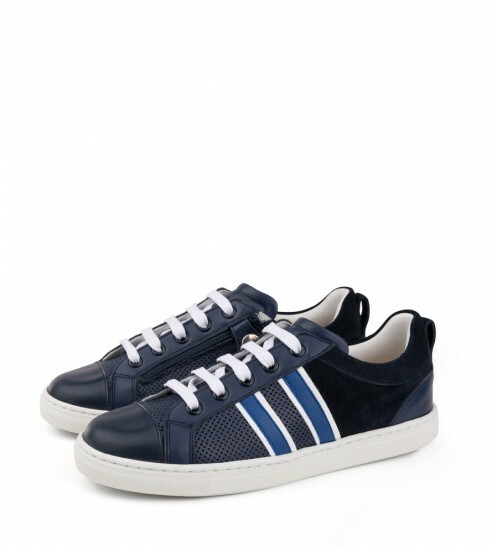 Lace up sneakers with a side zip made with leather. The rubber sole is stitched to the shoe upper. The interior of the item has a natural calfskin lining and removable leather insole. Available sizes from 20 to 40.